31% of people in the U.S. need vision correction due to presbyopia or age related "farsightedness." the percentage is much higher in Armenia. 19% of people in the U.S. use contact lenses. Only half of the estimated 61 million adults in the United States, who classify as being at high risk for serious vision loss, have visited an eye doctor in the past year. 64% of people in the U.S. use eyeglasses. The proper eye protection will lessen the severity or prevent 90% of all accidental eye injuries. 80% of all learning takes place visually in the first 12 years of life. $6 billion & $27 billion. There are an estimated 45 million BLIND people and 246 million have LOW VISION. Approximately 2% or 2.2 million Americans 40 years and older have glaucoma. 61% of people in the U.S. need eyewear due to Myopia or "nearsightedness." Computers are the number one source of vision complaints in the workplace. are the main cause of moderate and severe visual impairment. 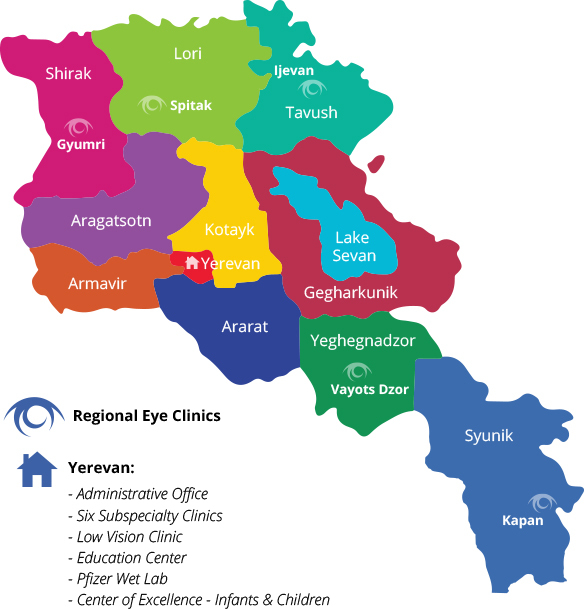 Cataracts are the leading cause of blindness in the middle and low income countries. or approximately one tenth of the prevalence of blindness in adults.